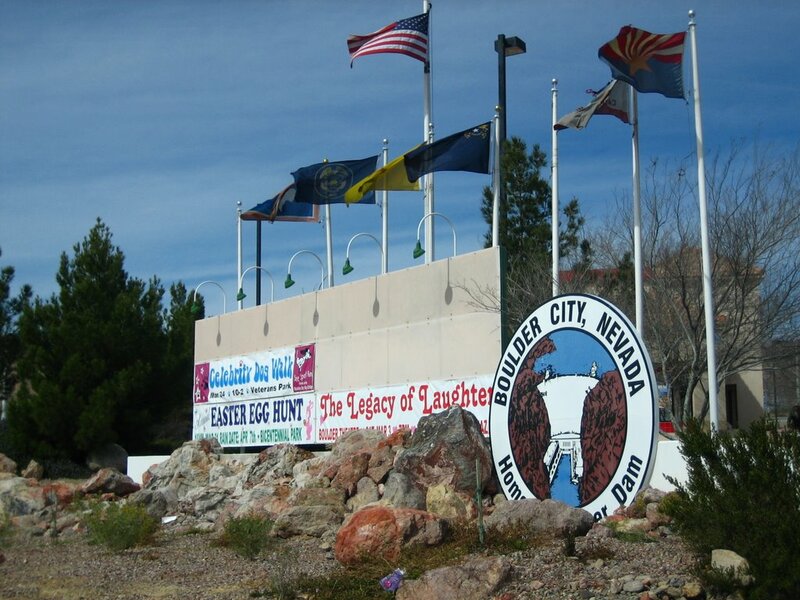 Today’s leg of the A2B Journey passed through Boulder City, Nevada. This town was built by the Bureau of Reclamation to provide housing for workers hired to build the Hoover Dam on the Colorado River. Not long after the site for the dam had been chosen, men hoping for work on the dam set up tents by the river. 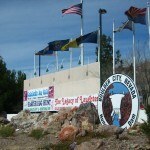 Because of the scope and size of the project to build the dam, the Bureau of Reclamation chose to build a town rather than building temporary housing. I had intended to run just 4 miles today. However, after the first mile, I decided to switch to a six-miler. A longer distance today provides more flexibility later to meet my distance goal for the week. Especially if I need to work around rain days or rest days. Lots of stretching made for an easier start. Within the first half mile, my legs felt good and warm. After the run, I noticed that both my knees were a little sore and achy. Because it is unusual for both knees to be equally sore, I made a mental note to monitor them throughout the day and on the next run. From time to time, I come across evidence that indisputably supports this statement. I know someone who is training for a full marathon (26.2 miles). His training schedule called for a 20 mile run this past Saturday. However, he was also scheduled to run a half marathon with some friends on Saturday morning. So logically, he parked his car 7.5 miles from the half marathon’s starting line. He started and timed his run so that he would arrive just as the race was starting. It made me laugh when I heard about it. Why do we do stuff like that? Clearly, it is desire that drives that kind of thinking and action. More to the point, it is the desire to do or create something specific. In the case of my friend, it was his desire to reach a precise level of performance in his next marathon. He wants it so badly, that the decision – to run 7.5 miles before running in half marathon race – is a no-brainer. His desire to perform is greater than the price required. This reminded me that I think everyone has a few big desires, wants, or dreams at any given moment. For most of us, they reside dormant and passive below life’s day-to-day surface. Too often, we hope and wait for “something” to happen that will make them real or reachable. As for me, I got tired of waiting. So I decided to up the volume on my own desires.